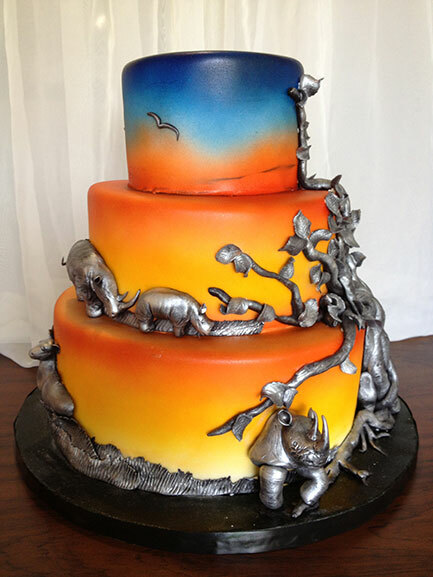 This cake is graced by several rhinoceroses as well as a graceful kudu couple. This all is set on an African sunset airbrushed with edible paint. Inside was various sponge layers of cake that served as a delicious dessert for a special 40th birthday party for a Namibian farmer with a passion for our rhinos.